Here we go, onto the second part of the CookForFamily event. 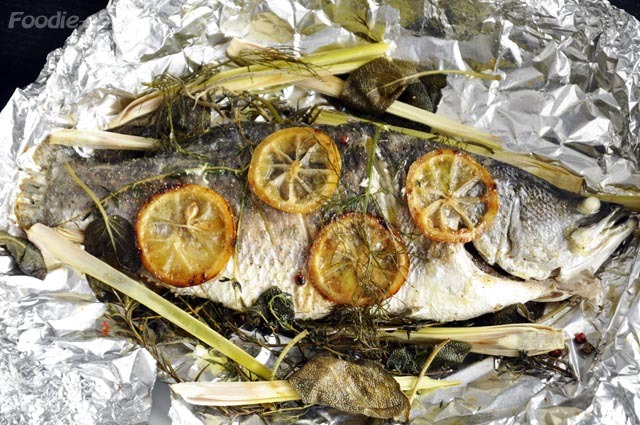 After the fusilli with clams, I cooked a baked seabass with herbs in foil. I love the delicate, tender and juicy meat of seabass when it's cooked just right. Baking it in a foil allows you to maintain the flesh moist while capturing the fragrance of the seasonings over a slow cooking process. 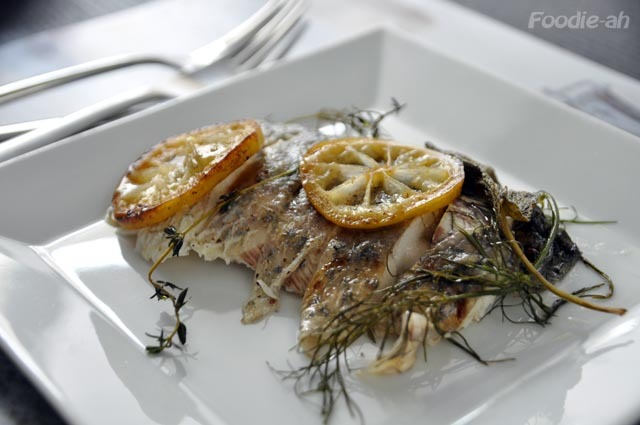 Everyone loved this recipe as it's healthy and the medley of herbs infuses natural flavors into the meat and juices of the fish. This is convenient to make, since you can prepare this fish in advance, refrigerate it, and put it in the oven just 30 minutes before serving. Clean the pan, then repeat the same for the fish. Make sure that the oil is well hot before placing the fish, as what you want is a crispy skin on both sides. All you need is about 40 seconds on each side. Make sure not to break the skin as you maneuver the fish. 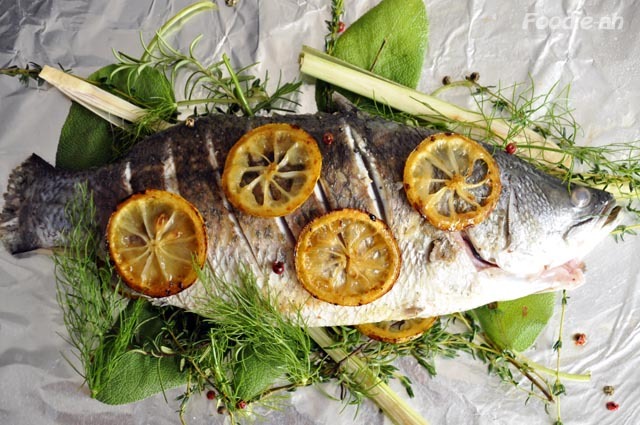 Scatter the herbs and lemon slices on some aluminium foil, then place the fish on them and repeat the same pattern on top of the fish. Wrap and seal the aluminium tightly, and store it in the fridge until ready for cooking. Heat the oven up to 180C, then place the whole wrapped fish on a tray and cook it for about 30 minutes, or until the fish is ready. 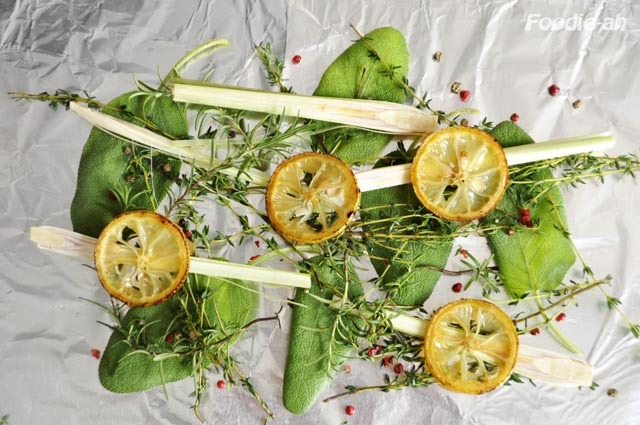 I transferred the parcel onto a plate, opened up the foil and served the whole fish at the table portioning chunks of flesh and a few of the herbs and lemon slices for decoration, for the enjoyment of the family!